Bishop Auckland FC are proud to be supporting the Offside Trust in their aid to safe guard children within sport. In November 2016, British football was rocked by a series of high-profile revelations regarding child sexual abuse. Several former professional players bravely waived their right to anonymity to speak out about their past abuse. 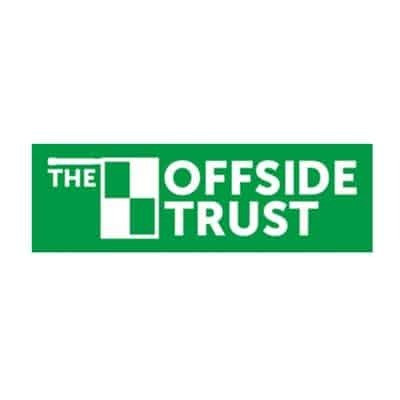 A number of the players involved decided to set up The Offside Trust, a new organisation committed to supporting survivors and working to make sport safer for children. The Trust is led by ex- footballer Steve Walters and former professional golfer Chris Unsworth, whose stories have inspired hundreds of people to speak out for the first time about their abuse. Support the healing journey of survivors of abuse. The Offside Trust already has the support of clubs, players and former professionals throughout the sporting world. The trust focuses on all sports, not just football. They are grateful for the support that we are getting from everyone including the people in cricket, rugby, golf and boxing, helping to raise further awareness across sport. The Offside Trust works alongside governing bodies, charities and organisations that deal with safeguarding. How we are supporting the Offside Trust? A pitch side advertising board will be displayed at Heritage Park to help raise awareness of the Trust and its excellent work in supporting people affected by abuse and also in prevention of abuse. The club has paid for production of the board and also will be waving any fee for it to be displayed at Heritage Park. « Terry is ‘on his bike’!